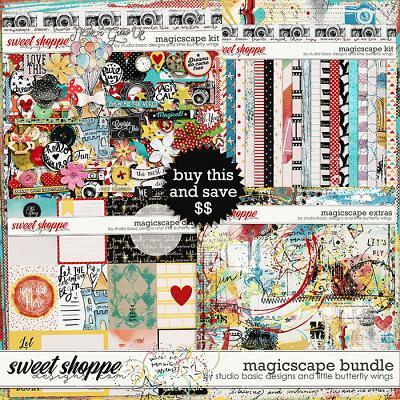 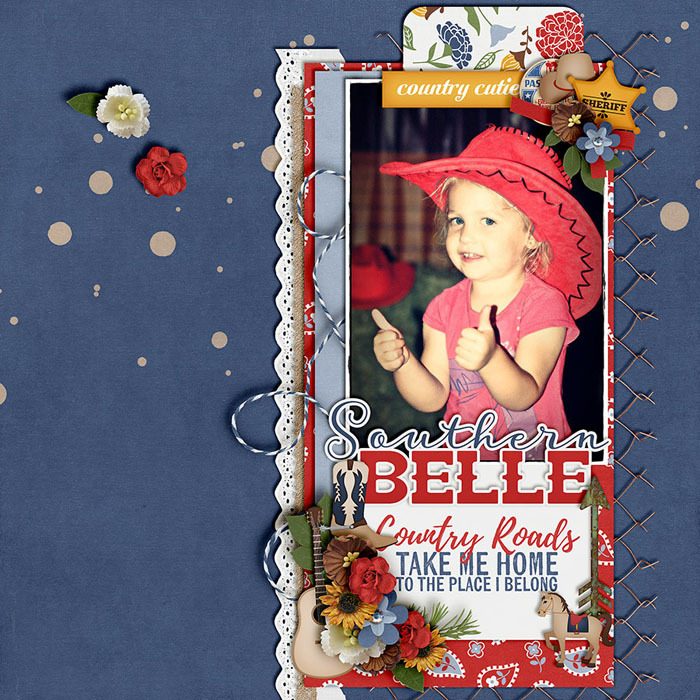 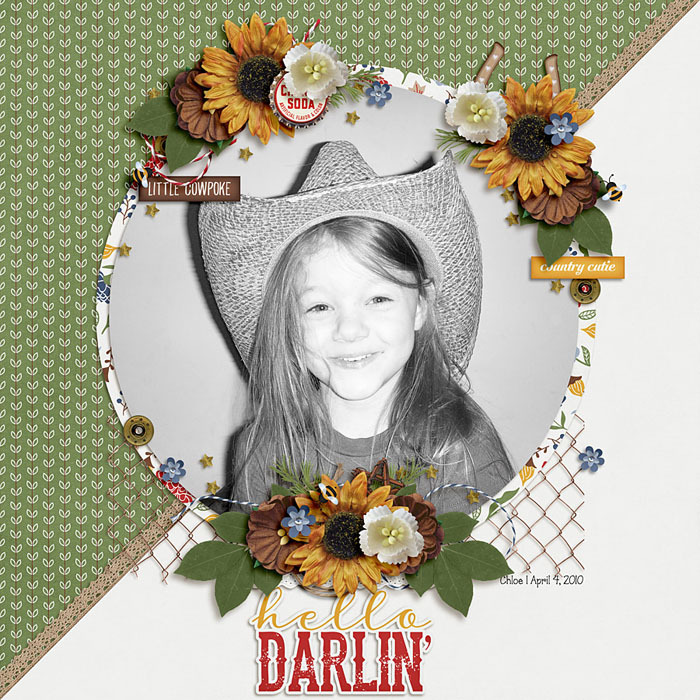 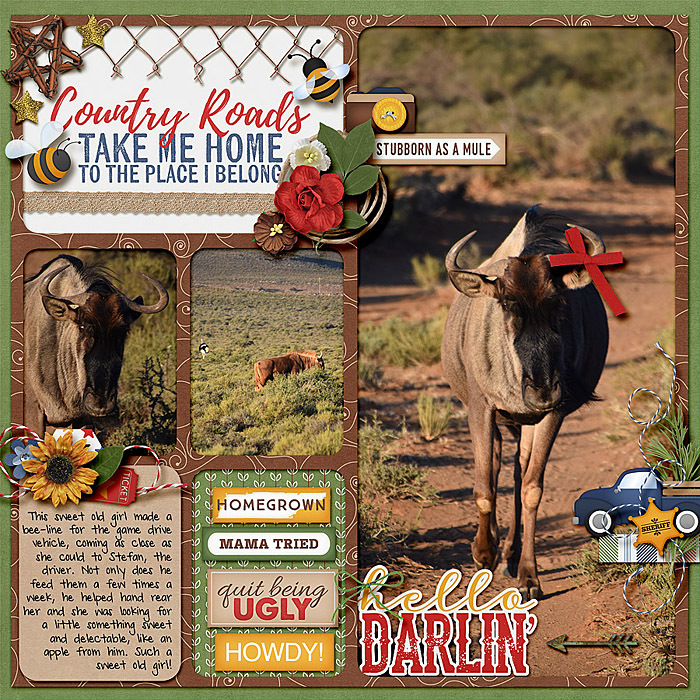 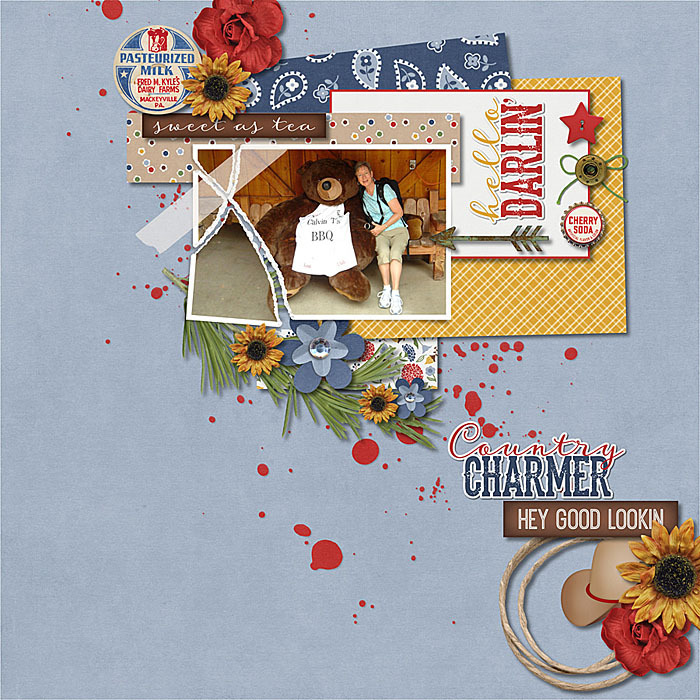 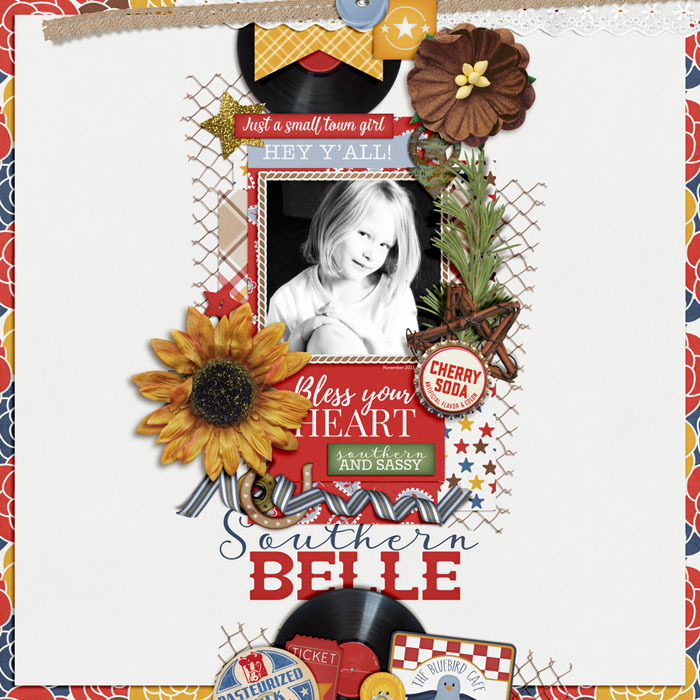 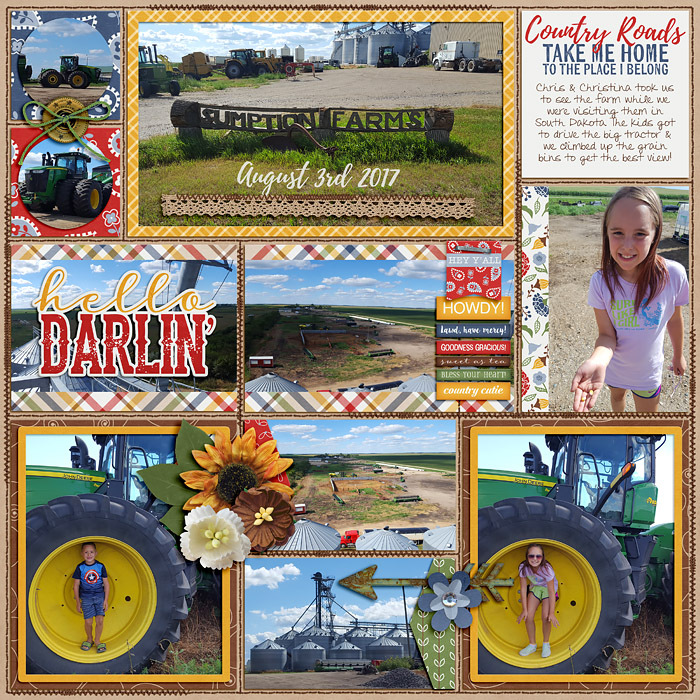 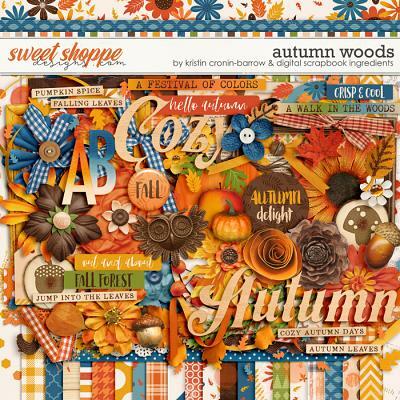 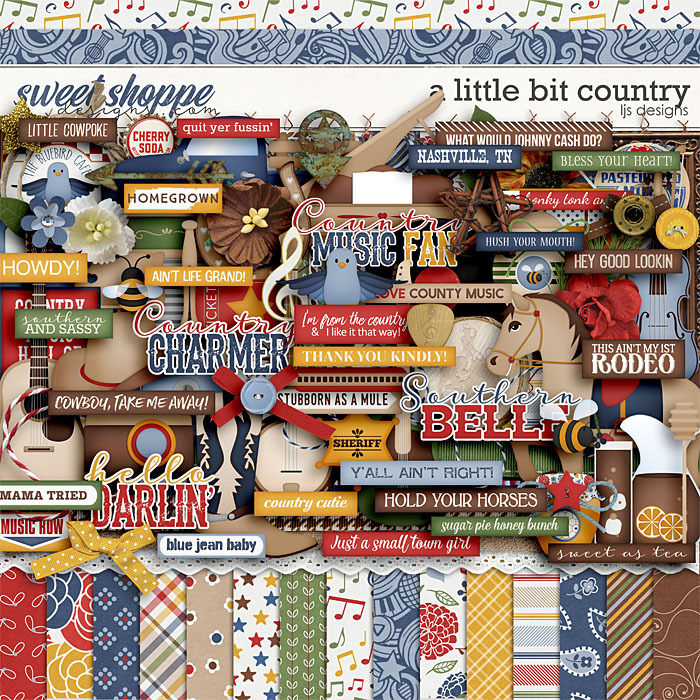 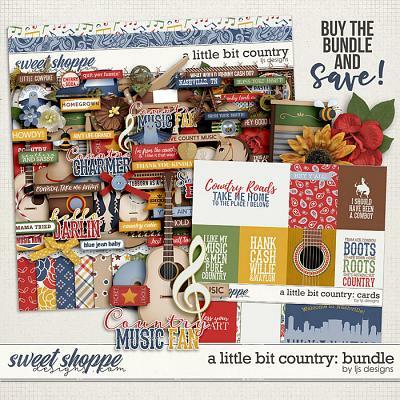 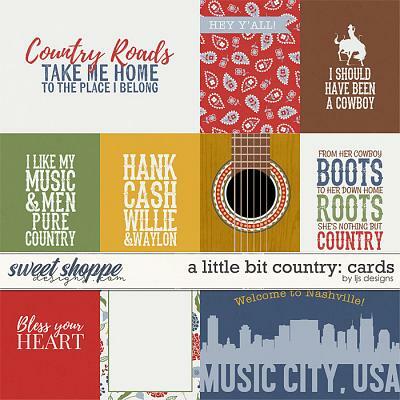 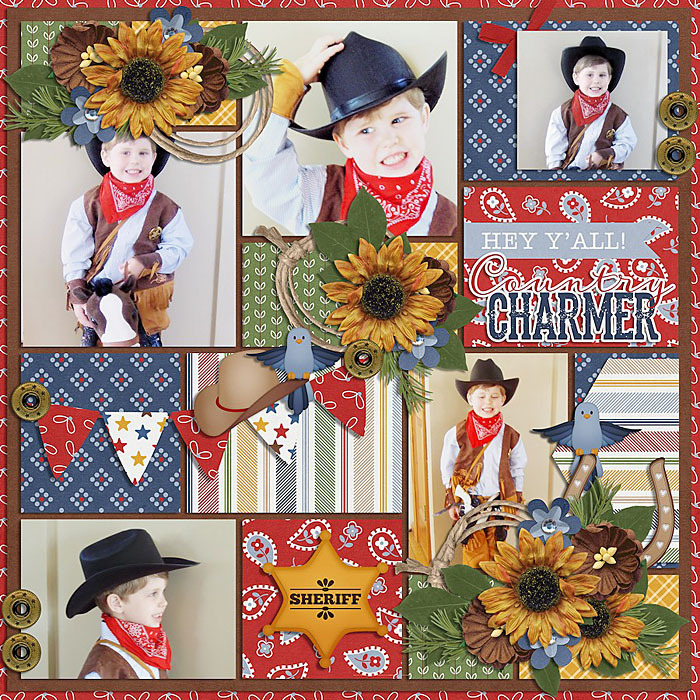 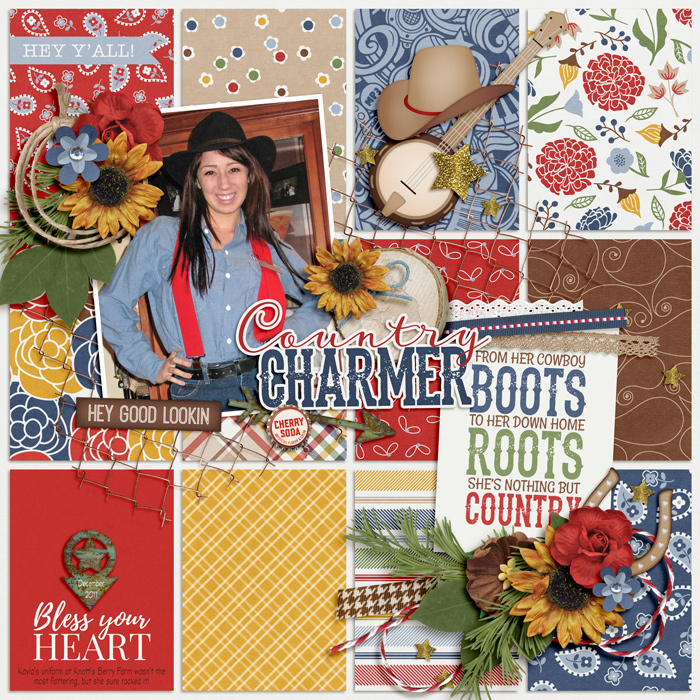 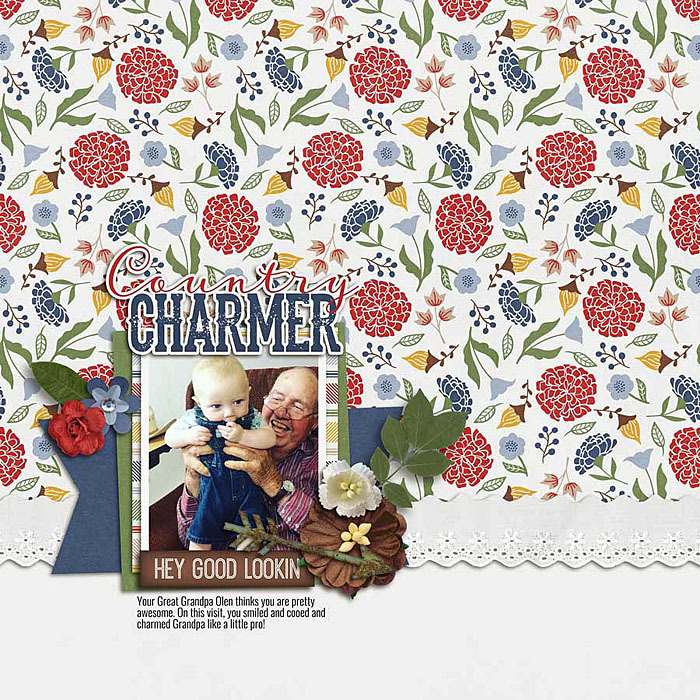 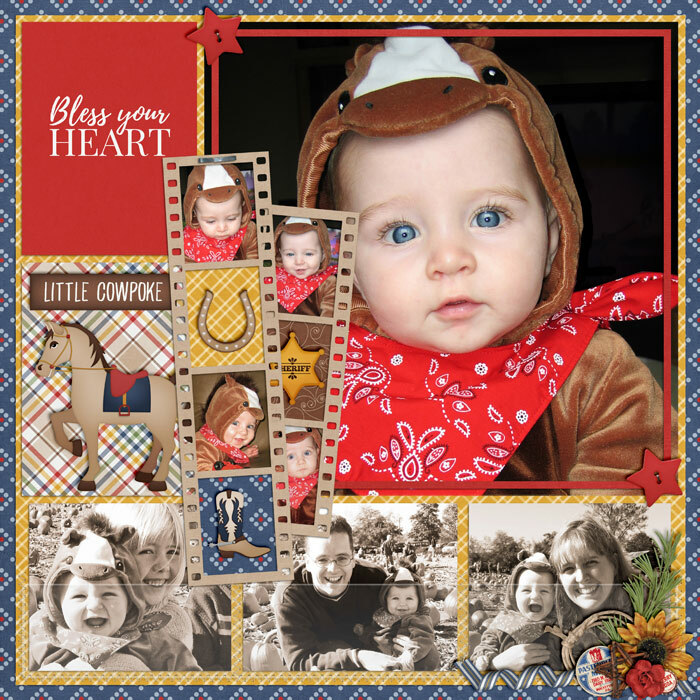 A digital scrapbooking kit by LJS Designs, A Little Bit Country is full of fun country elements and charming patterned papers. 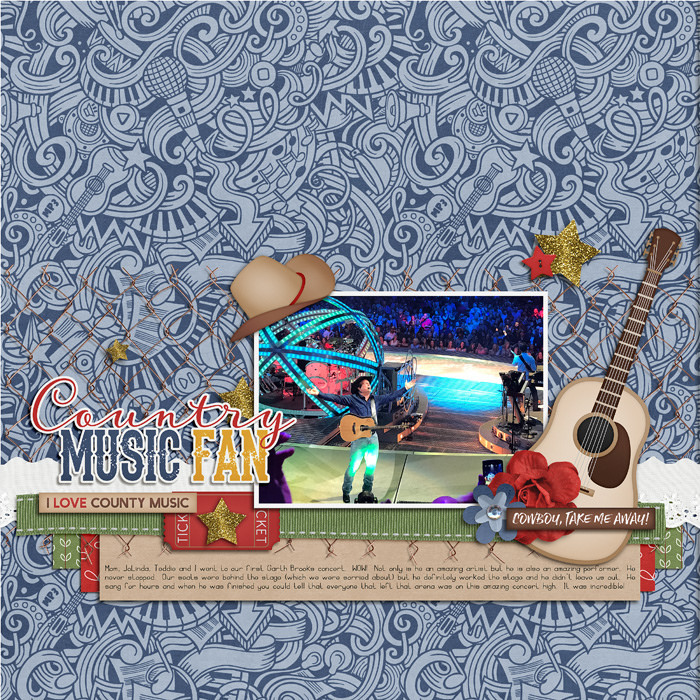 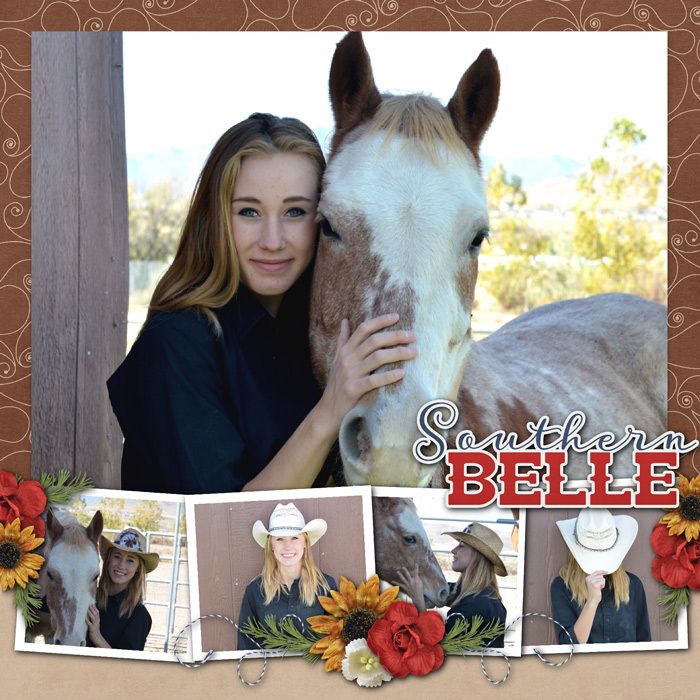 If you like country music, live in the country or have a country cutie in your life, this kit has you covered. 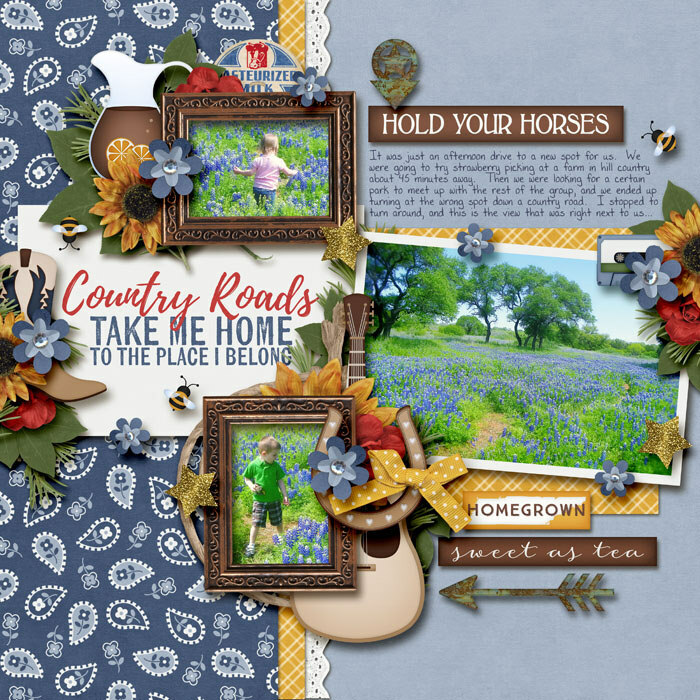 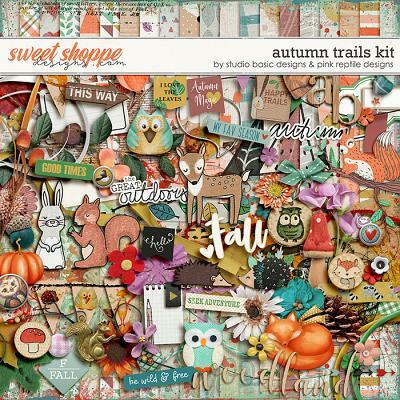 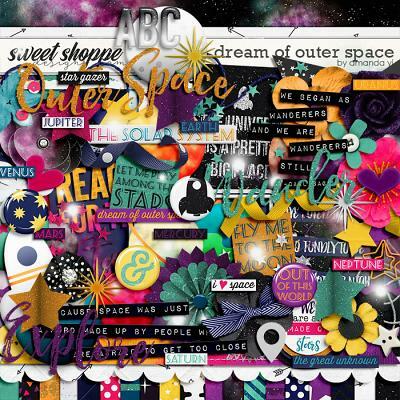 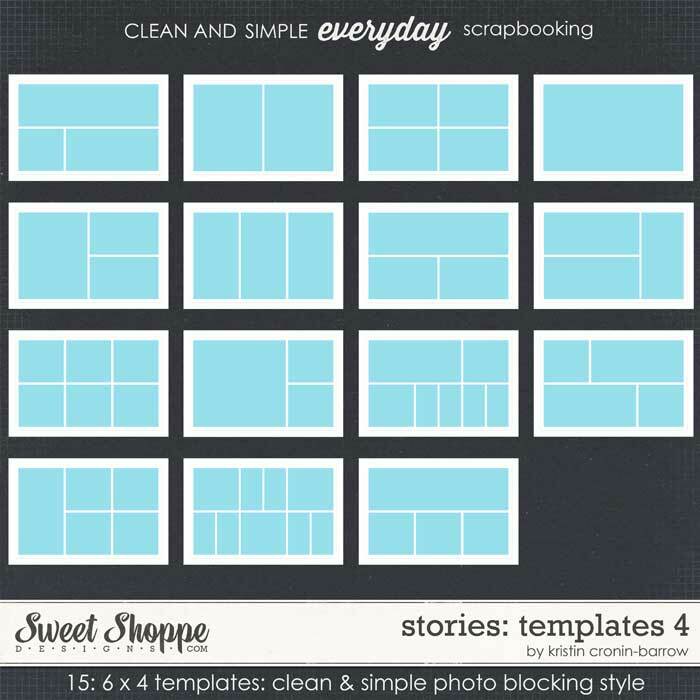 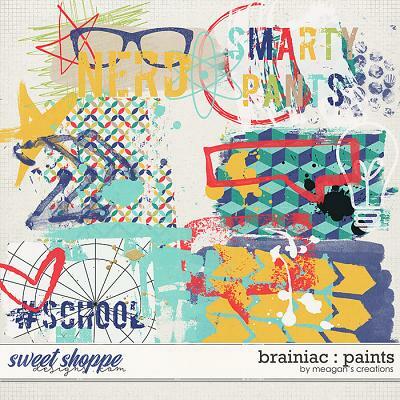 With everything from cowboy hats and boots, to sweet tea and honey bees, this sweet kit is versatile enough to use over and over again on all your country layouts. 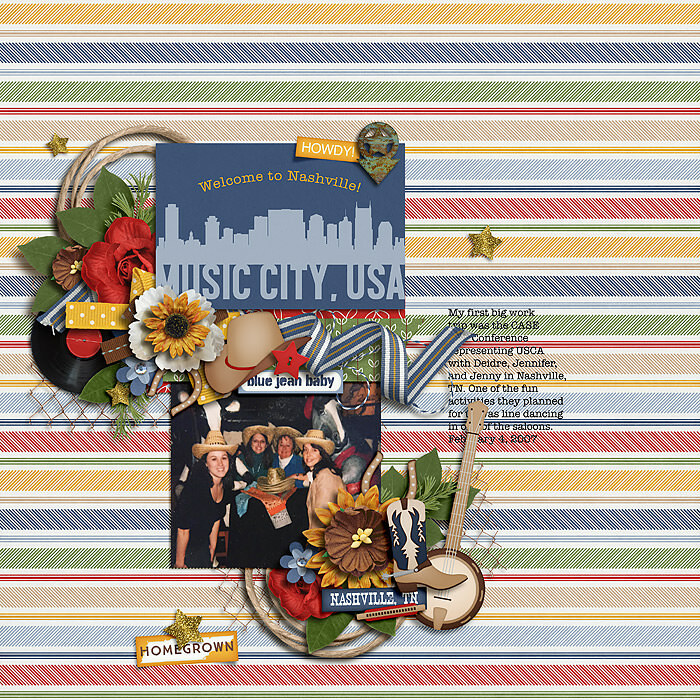 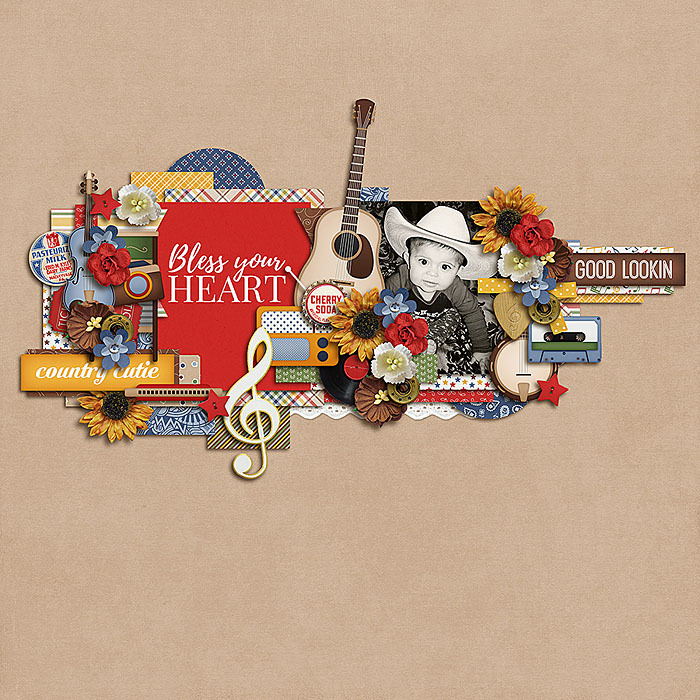 75 elements: 2 arrows, badge, banjo, blue bird, 2 bottle caps, 5 bows, 4 buttons, camera, CD, chicken wire, clothespin, Country Charmer WA, Country Music Fan WA, cowboy boot, cowboy hat, fiddle, fiddle bow, 5 flowers, 3 frames, 2 guitars, guitar pick, harmonica, Hello Darlin WA, 2 honey bees, honey dipper, honey jar, honey pot, horse, horse shoe, 2 pieces of lace, 3 leaves, milkcap, music note, music stand, piano, radio, record, 2 ribbons, sign, Southern Belle WA, 2 stars, 2 strings, pitcher of sweet tea, glass of sweet tea, tape, ticket, truck, washboard, and rodeo rider woodslice.